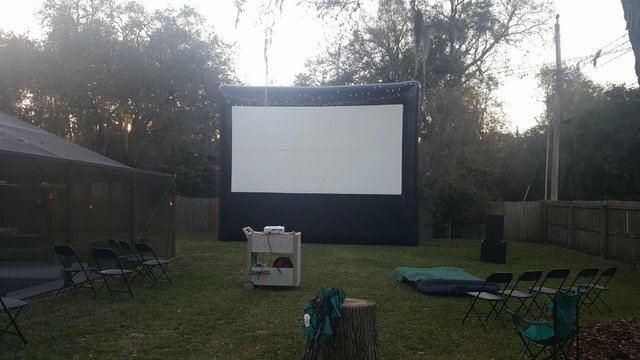 If you’re planning a screening for some of your favorite classic films, the Backyard Cinema is the portable movie screen that will make it come to life. When the movie starts, you will all be dazzled by the clear projection and crisp sound. The Backyard Cinema is perfect for crowds up to 500. Includes: Inflatables Screen, Speakers, Projector with DvD/Bluray Player. You just supply the dvd! We deliver, setup, and pickup this rental.